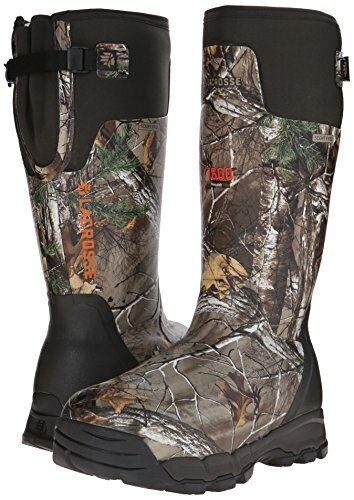 Keep your feet warm while on the hunt! LaCrosse Alphaburly Pro 1,600 gram Boots provide maximum protection against extreme cold. They fit great, too, thanks to Ankle-Fit design that grips the top of your foot and locks your heel in place without rubbing or chafing your foot. Plus, LaCrosse Alpha technology uses more natural, scent-free rubber with neoprene lining instead of fleece for greater flexibility and comfort. 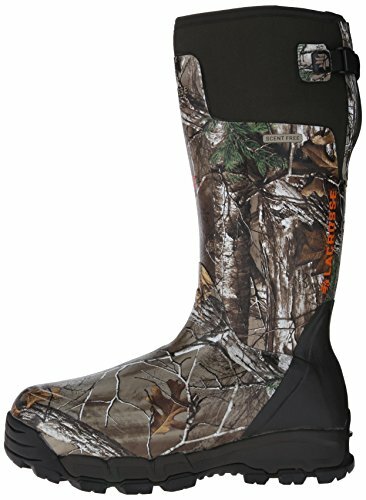 LaCrosse Alpha technology combines quality, scent-free rubber with insulating neoprene for a durable, lightweight, comfortable boot; 1,600 gram Thinsulate Ultra Insulation for lightweight warmth; Warmth rated from 0 deg F all the way down to -70 deg F; Ankle-Fit design grips the top of the foot and locks the heel in place for a more secure, chafe-free fit Burly Pro outsole for traction on any terrain; Unlike other neoprene boots, the rubber coating on Alphaburly Pro is easy to clean up and doesn't carry scent like fabric uppers; Thick, cushioning EVA midsole; Adjustable rear gusset; Fiberglass shank; Waterproof: Yes; Insulation: 1,600-gram Thinsulate Ultra Insulation and neoprene; Upper: Scent-free rubber over neoprene; Midsole: EVA; Outsole: Burly Pro; Special features: Ankle-Fit design; Color: Mossy Oak Break-Up COUNTRY; Height (approx. 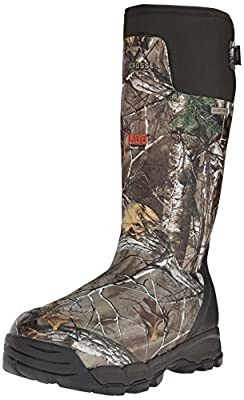 ): 18"; Weight per boot (approx. ): 44 oz. ; Mfg. Number: 376029.